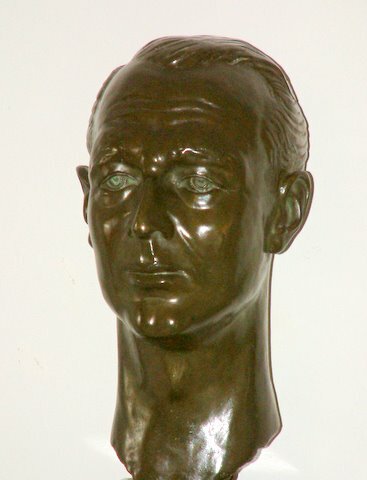 Evan Morgan, poet, artist, and escapist, the last Viscount Tredegar shocked his way through Eton, Oxford, Rome, North Africa, Bali, Canada and America. The Bright Young Things of London’s Café Royal Society toasted him in aphorisms. Ogling dowagers indulged him whilst his straight-laced huntin, shootin a’ fishin family, with Royal vestiges was shaken by his escapades. In the Great War he dodged rat-infested trenches on account of a weak chest, the bain of his existence. Claiming he was renouncing pleasure and his birthright, he turned to mysticism and Roman Catholicism, studying at Beda College, Rome, whilst acting as a Papal Chamberlain at the Vatican. Despite being gay Evan attracted iconic women and saw off two wives. He transformed the austere family pile of Tredegar House in South Wales for rave weekend parties and black magic rituals. Footmen in powdered wigs received houseguests from Hollywood stars to the satanist Alistair Crowley. Evan’s fall (like Lucifer) came after his Court Martial under the Official Secrets Act in 1943. His health crumbled, as did his family’s fortune. Here for the first time is a unique insight into Evan’s eventful world of eccentricity, travel and adventure. There will never be another Evan Morgan. I An Eccentric and Fantasist; Two Wives - Lois Sturt and Princess Olga; Other attempts to write Evan’s biography; Evan Outed! Evan in Bali, Indonesia: Tuan Raja Evan’s Estate and final financial affairs; Catholic conversion and death wish; Requiem Mass at Buckfast Abbey ; Three Executors meet at Honeywood House, Dorking; Evan proves a burden on his Executors. II Evan’s Birth, Parents Family Roots; London Town House; Hunting and country pursuits; Maternal Grandparents. III Education and Coming of Age;Schooldays : Brighton; Eton College 1907-10; Painter and Exhibitor in the Paris Salon; Shadows Behind Coming Of Age in 1914; As a young man : aspiring poet and heir; IV Oxford Days; Evan by Cyril Hartmann; How Evan Saw Himself; Mother Fixation; Young Evan. V Café Royal and Eiffel Tower Restaurant; The Drug Culture; Evan the budding Poet is published. 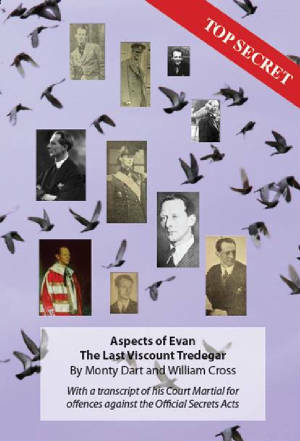 VI Great War; Evan in Uniform; In Whitehall; W H Davies and at the Eisteddfod; Evan and Frances Stevenson; VII Evan and Osmond Esmonde; Evan and Ronald Firbank. VIII Attempt to renounce his birthright for The Catholic Church; Becoming a Monk; The Vatican; Vatican Secret Archives: Application to be a Papal Chamberlain; Finest hour as a Papal Chamberlain; Evan and the Cardinal; Student at Beda College, Evan in Dublin and Reveals the Secrets of the Vatican. IX 1920s; Evan’s Parties : London; The Hoaxer and Evan’s 34th Birthday; Nancy Cunard; Evan and Politics : X Marriages and Mayhem; Evan marries Lois Sturt; After the Wedding; London Home in Mayfair; Evan Fund Raising in East End; Evan the bird tamer bitten by a wolf and goes to Canada; Evan and Lois Co-exist together then Split; William Butler Yeats was ejected by Lois; Evan and the Catholic Poetry Society;Lois Angered.